Gambling, whether it’s online or at a land-based casino, is an exciting form of entertainment. But, for some, it can develop into a problematic habit that can lose them huge amounts of money and ruin their lives. Self-exclusion comes in when the player recognises that their gambling is a problem and they’ve become an addict. As the popular catchphrase goes, winners know when to stop. However, some people chasing their losses becomes an impulse that’s difficult to control. So, on this page, we’ll be looking at how they can help themselves get it under control. 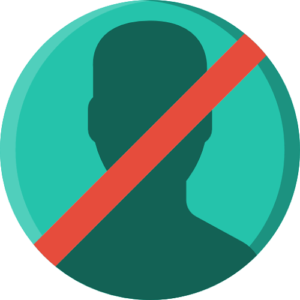 Self-exclusion is when a player voluntarily gives the casino the power to ban or exclude them from their casino for a set period. The timeframe can be from a month to a couple of years depending on what you selected. Attempts to access the casino or gambling activity during the self-exclusion period will be denied. Furthermore, players may face a fine or imprisonment. Also, there are other ways to self-exclude yourself from a casino, especially online gambling sites. We’ll take a look at some below. The first step to being self-excluded is to apply for it. A request can be made at either the provincial gambling boards, casino operators, or the online casino players like to frequent. Exclusion from all casinos operated by a group in a province. Exclusion from all casinos operated by a group in the whole country. Full exclusion from a particular online gambling site. Players can set deposit limits to control how much they spend at one time. Time-limited self-exclusion in which players set a period of time that they’ll be banned from playing at the casino. Finally, there’s permanent exclusion in which the player is telling the casino to ban them for life. Breaking this ban may result in players being unable to access the casino site. If it’s a land-based casino, they may be arrested for trespassing, face jail time and a fine, and they will have their winnings forfeited. The self-ban has been in effect for a minimum of six months. The player needs to prove that they have been attending counselling sessions with a professional. A self-exclusion may help a player remove the temptation of repeating the destructive gambling behaviour. It makes it much more difficult to access any gambling services once a player has a self-ban on them. However, the most important thing with a self-exclusion is that it must be the player who acknowledges that they have a problem and need external control. Usually, self-exclusion programmes come with a trained counselling professional who will help the player with their addiction. Sessions are free. 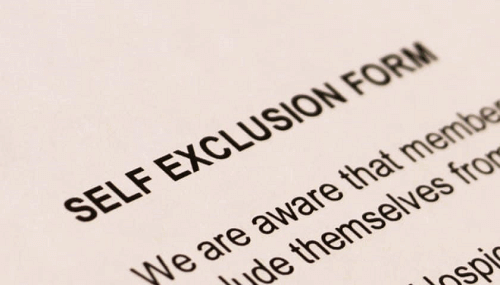 To get on the South African Responsible Gambling Foundation’s self-exclusion programme, contact 0800 006 008 or email them at helpline@reponsiblegambling.co.za.